We all have experienced an awesome bus tour at least ones in our lives and we all know how exciting it gets when we travel with bunch of our friends and the people who we love. Now imagine going on a skiing tour with your loved ones. There is nothing in this world that can be compared to the quality time that we spend with our friends and family members. 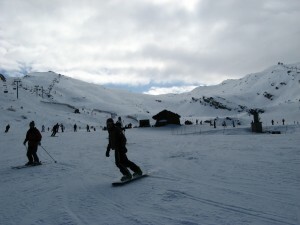 Going for skiing through skiing bus tours gives you a chance to see different parts of the country that you are visiting. These skiing bus tours take you to all sorts of mountain and hilly areas covered with snow so that you enjoy skiing with your friends. Group and individual ski trips when purchase with a bus tour always offer the lowest possible price and often include access to the best ski resorts accessible by road. If you haven’t experienced a ski adventure yet then you are missing out on the most amazing fun and adventure. For many years skiing bus tour companies have been providing thrills and spills throughout the entire world. These skiing bus tours provide thousands of people with millions of great memories. It just not gives a chance to see different beautiful places but also helps you socialize with amazing people from diverse regions. If you are wondering over the costs of different packages that you get from skiing bus tours companies then you must know that the cost of the ticket for one day of skiing bus tours is as cheap as 25 dollars. There are many bus tours companies which provide you with the lowest possible prices, however if you want extra facilities in your trip then you will be charged extra money for them. The prices that you pay for the skiing bus tours include day trips including bus and lift pass. If you plan to pay for a package that covers your trip for the entire weekend then you must know that they are a bit more expensive, however in return you get more facilities. Weekend skiing bus tours usually include bus, lift pass, lodging, and meals. Since the competition in the market of bus tour companies is on an increasing scale, many firms organizing these skiing bus tours provide their potential customers with a wide variety of packages. A skiing bus tour including bus tickets, continental breakfast and after skiing snacks can cost about 109 dollars per head. The prices that are charged for children are slightly cheaper however they get the same amount of benefit as an adult does. There are other extra facilities arranged on skiing bus tours, such as Ski House Trips, Lessons, Rentals and trips to other areas in the country that you visit. Every year many people go for these bus tours for sightseeing with their family and especially with their friends. While you are on these skiing bus trips, you get an opportunity to see different beautiful natural sights that you would not be able to see in your daily routine life. What are you waiting for? Get your bus skiing tickets today.